One of the most attractive destinations for couples is the beach. Here, they find the possibility to rest together and disconnect from the rest of the world. If you and your partner are looking for a new plan for your vacations, you must check this out and discover the best 5 beaches to relax in the Mayan Riviera! This is one of the beaches in Mexico with the finest sand, but you can also find a quiet place and a colorful beach, ideal for resting your senses. Isla Mujeres is located only 13 kilometers from Cancun and is a magnificent place to visit with your partner and do eco-touristic activities, inside a 100% natural environment. 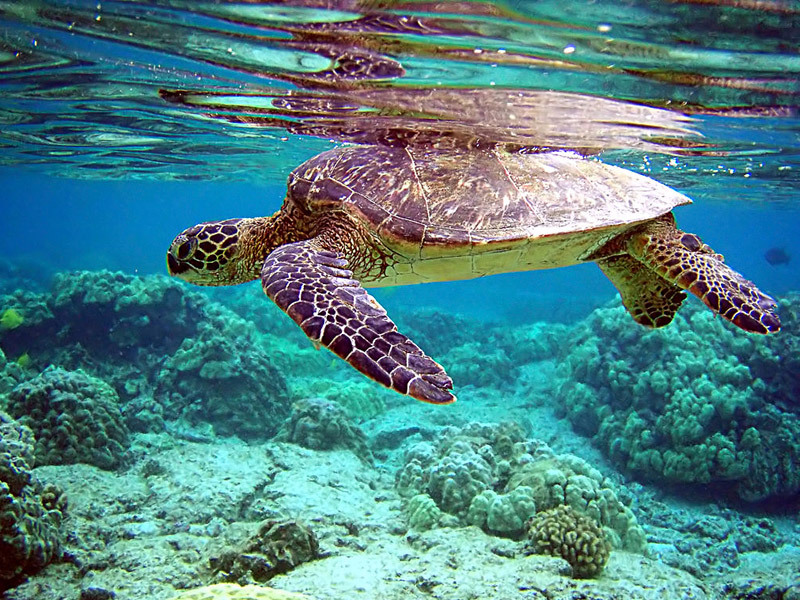 In its crystal waters live turtles that you can hang out with. You can also try to swim with dolphins there. 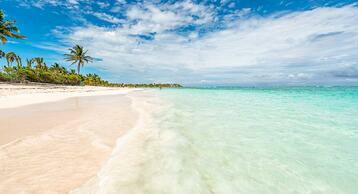 Even though it’s not very well-known, Akumal is one of the most beautiful beaches of the Mayan Riviera. Its name “place of turtles” says it all about what you’ll find there. With corals and fish everywhere, snorkeling and diving have a new meaning, because what you are going to see is completely unique, in comparison with other beaches. Can you imagine yourself resting in this amazing colorful spot, with your partner beside you? This is an experience that both of you will adore and want to repeat! Another rather unknown destination is Puerto Morelos. Full of touristic spots and located very close to Cancun, it is a small town of fishers, painters, writers and other artists wanting to find their inspiration in the color of the sea and the tranquility of the surrounding area. Although it’s very quiet, you will find many activities to do. 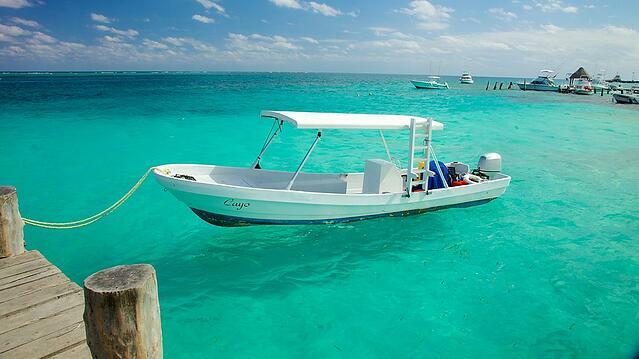 Here, you can snorkel, swim with dolphins or sail on a catamaran. 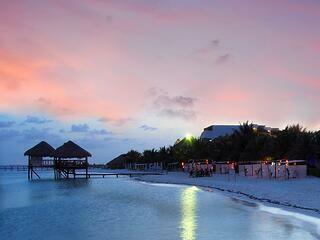 Puerto Morelos is the perfect beach for your next romantic vacations! Did you know that Playa Morama is considered one of the most beautiful beaches in the world? The best part is that you can enjoy it during your trip in the Mayan Riviera. It’s basically a desert beach and, for that reason, it’s very sought by couples who wish to rest on the white sand and see the unique beauty of the Caribbean Sea. If you want to go to this beach, you can go during your stay in Puerto Morelos, since they are only 20 minutes apart. If you want a beach and an archaeological spot, you must go to Tulum, where you will enjoy the Caribbean landscape at its most. This is also a fantastic place to be alone with your partner and enjoy a romantic vacation. 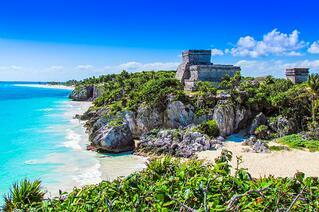 Tulum has a big advantage: being very close to Coba, another archaeological site that is worth visiting. Full of peace and silence, you can find intimate hotels in Tulum for an even better private moment as a couple. However, you can also go to Xel-Há to swim with dolphins and try other aquatic activities. Or you can go to Xcaret, only 40 minutes away by car. We are convinced that these are the best options for you and your partner. Visit the most beautiful beaches in the Mayan Riviera and build some great memories together! If you need more information about how to swim with dolphins for couples, click here!